Attach your key and carry out super bright Blue LED Key Chain wherever you go! 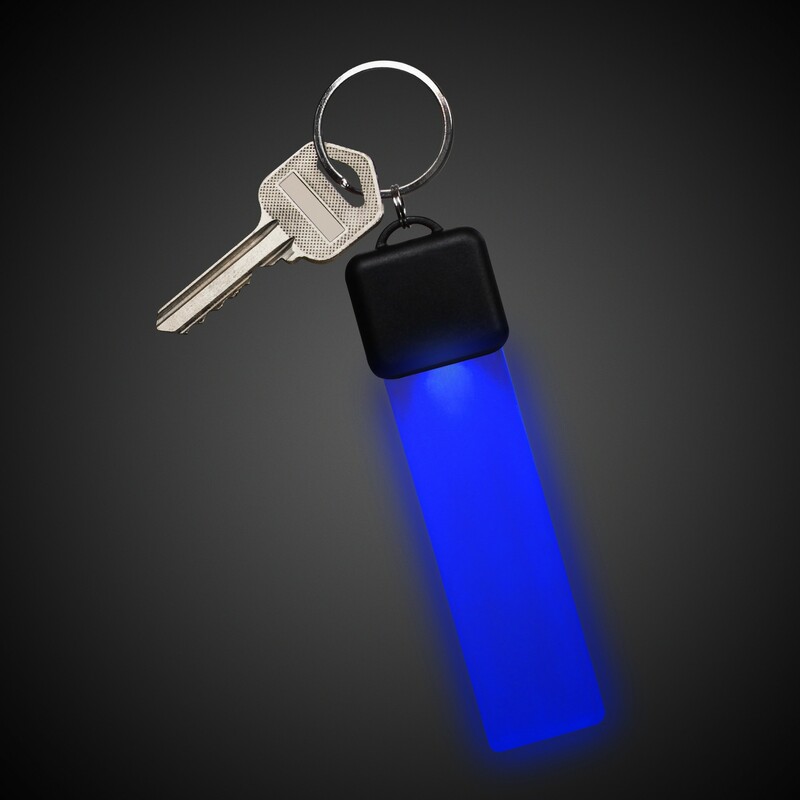 This light up key tag illuminates in 2 modes: flashing and steady on. 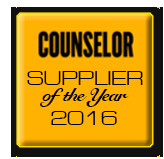 2 replaceable CR1616 batteries are included, installed, and housed in a 1" black battery base. 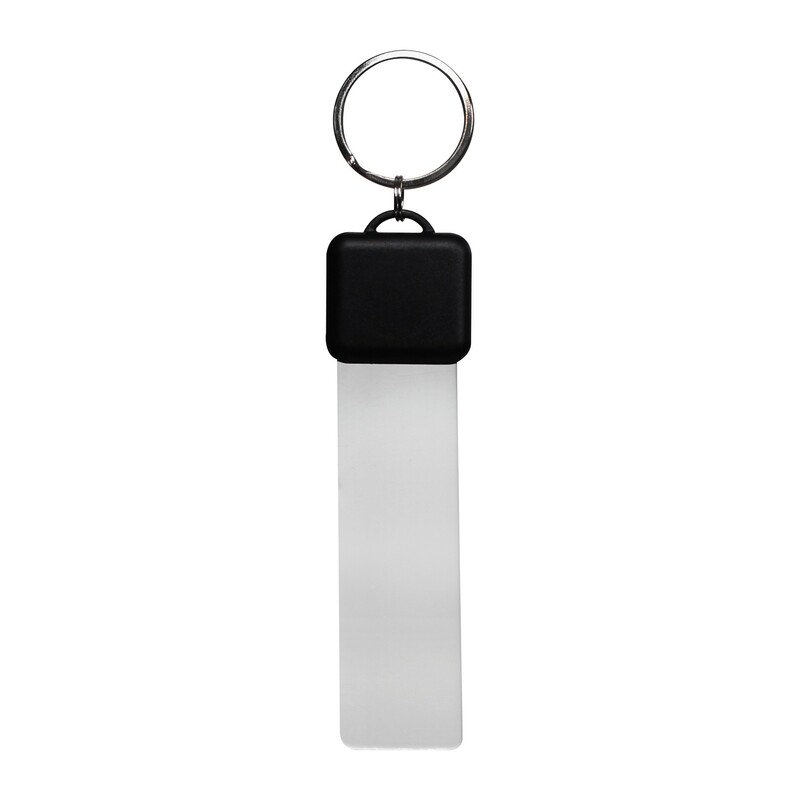 Each clear key tag measures 4 1/4" long x 1" wide. 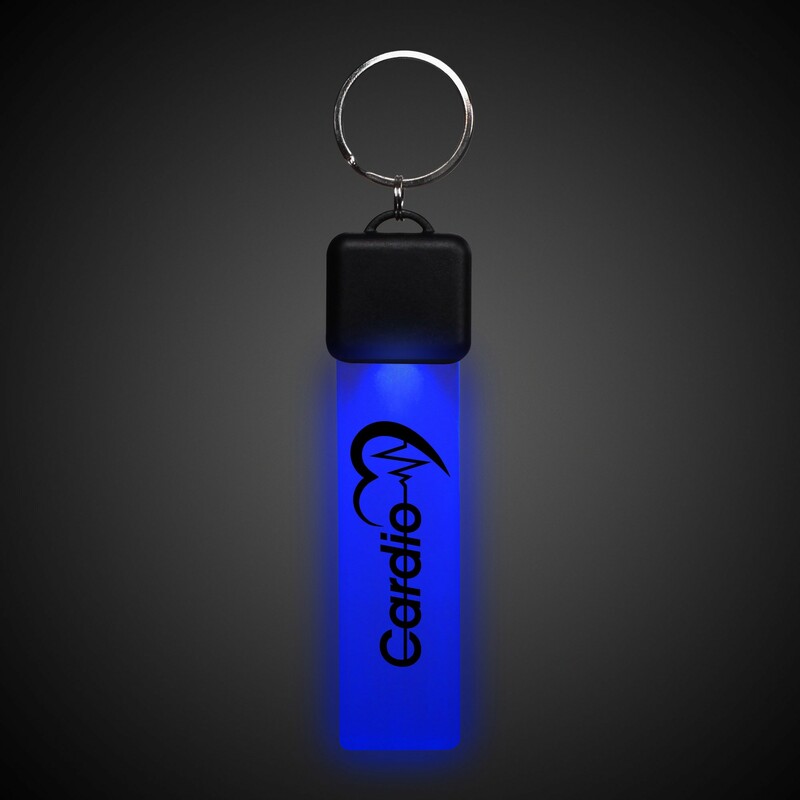 Laser your logo to make a statement when you hand these out at your next promotional event. 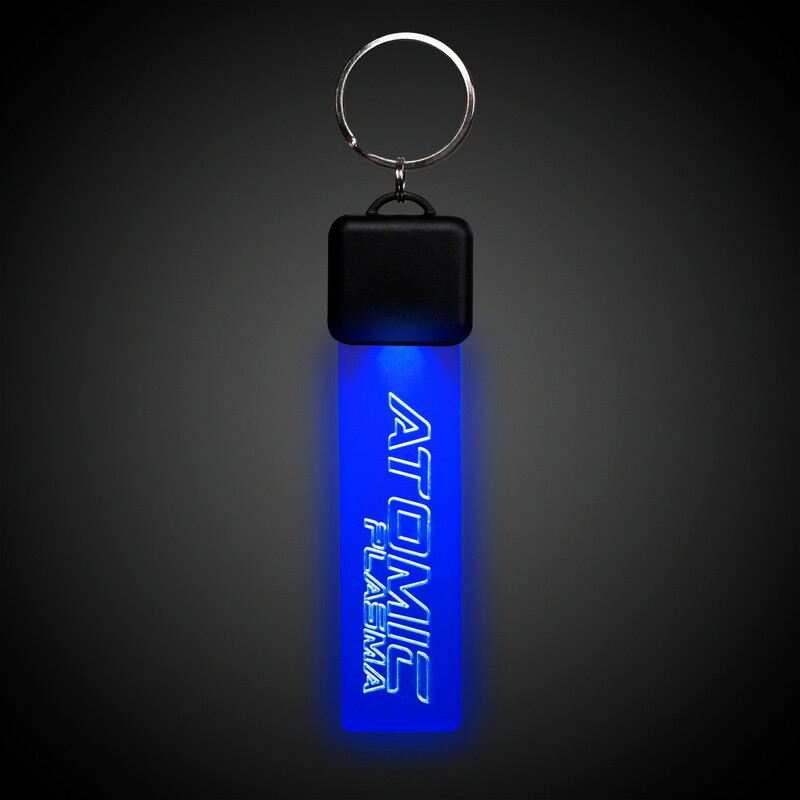 Perfect for attaching to your car keys, a back pack or purser, a coat zipper, use as a golf marker, and more!